Understanding leadership theory is critical to developing a leadership style. Prior to beginning the program, I definitely considered myself a leader: I hold leadership positions in my school and in professional organizations, I am a mentor for new school librarians in my district, and I work daily with my staff to implement innovative and powerful learning experiences for students. But I had never before considered the theory behind leadership and how a better understanding of theory could empower me to grow my leadership skills further. Just like the theories of librarianship learned in graduate school inform our daily practice as school librarians, theories of leadership can impact the development of leadership style. 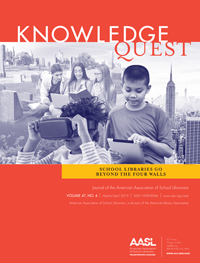 In his article, “Leadership Is About You,” Ken Haycock distills several leadership theories into the essence of what they look like for school librarians, who often lead from the middle. Haycock’s definition of Transformational Leadership, “confidently maintaining a commitment to a vision, such that colleagues are more likely to meld their personal identity with that vision,” resonated with me in a way that has since reshaped my practice. I am working to more clearly define my vision for my school library, communicate that vision to stakeholders, and bring others on board with enthusiasm and confidence. Learning more about leadership on a conceptual level gave me the tools to both recognize my own leadership strengths and define a clear direction to grow as a leader. All managers are not leaders, but effective leaders are good managers. We have all seen bad leadership in action: someone who simply manages (or micromanages) the day-to-day without exhibiting any qualities of a real leader. On busy days in my school library, it is easy to fall into a pattern of “management” over “leadership,” or addressing issues as they arise rather than taking time for reflection and intentional program design. The induction program work has transformed my view of management. Rather than scrambling to solve each problem, I now consider how I can be proactive in management. For example, how can proactive implementation of procedures reduce the potential for conflict? How can proactive communication prevent misunderstanding and increase my value to stakeholders? How can proactively building trust with my colleagues help grow the effectiveness of the school library? Thinking proactively has transformed my view of management from a tedious facet of work into an opportunity to grow my library program in a positive direction. 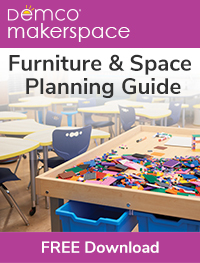 School librarians may have to work harder to connect… but it’s worth it. Like many school librarians, I am a solo act. I do not have a co-librarian or a library assistant. Even though the librarians across my district are a tight-knit group with plenty of opportunity to collaborate, there are often days at a time where I speak to no other school librarians to work out professional issues, share ideas, or learn from one another. It can be isolating. 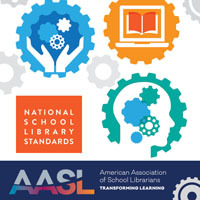 Through the AASL Induction Program, I have had the opportunity to connect with school library leaders from around the country, each of whom are doing innovative and exciting things in their libraries. While I have always understood professional growth to be a major component of leadership, I underestimated the power of a strong professional network in that growth. The induction program cohort comes together each month to discuss a different topic in leadership, growing as we work through the content of each module, but just as much through our conversations and connection to one another. This experience has spurred me to look for other ways to reach out and build my personal learning network even further. It has been both challenging and rewarding to be a part of the AASL Induction Program. The content, the incredible guest speakers, and other cohort members have inspired me to become a more knowledgeable, reflective, and connected leader. I look forward to continuing to grow and learn as a part of this program. Haycock, Ken. 2010. “Leadership Is about You.” School Library Monthly 26, no. 6: 42-44. Kelsey Barker is the teacher librarian at Longfellow Middle School in Norman, Oklahoma. Kelsey is a part of the first AASL Induction Program Cohort, a new program to assist future school library leaders in recognizing and developing their leadership abilities.